Want an opportunity to help your fellow Rutgers students and make a lasting impression? Volunteer to be a member of the Move-In Team for Fall 2019 Move-In Days! 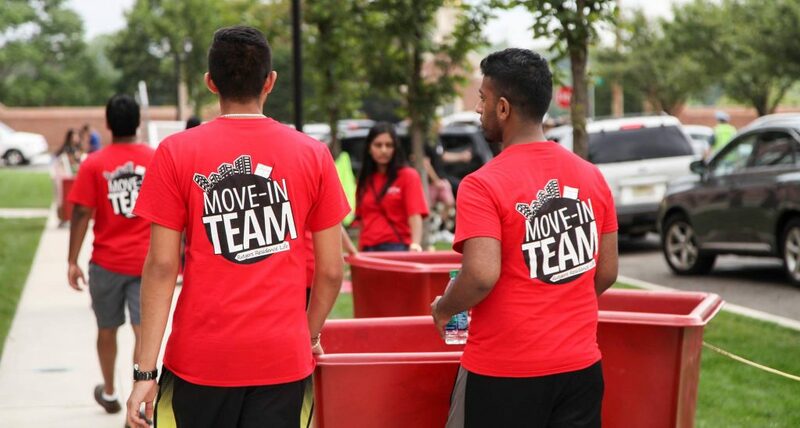 You’ll receive a “Move-In Team” t-shirt, get to move in to your on-campus residence hall room, suite, or apartment early, and help your fellow students move into their halls! The deadline to sign up for the Move-In Team is August 1, 2019! Please note: These forms may only be completed by continuing students who will be returning in Fall 2019. New/Incoming students are NOT eligible to be part of the Move-In Team. Registration for the Move-In Team will close on August 1, 2019! Contact Kevin Killen, Associate Director of Residence Life for Administration and Operations, at kkillen@echo.rutgers.edu.